Estonian belongs to the Finno-Ugric group of languages, which has its roots somewhere behind the Ural Mountains (together with Hungarian, Finnish, etc.). Today, there are several dozens small Finno-Ugric populations settled in North Europe, in the Volga and Ural region, and in Siberia and the Russian Far North. Closest to Estonian are the Finnish languages, first of all Finnish itself. 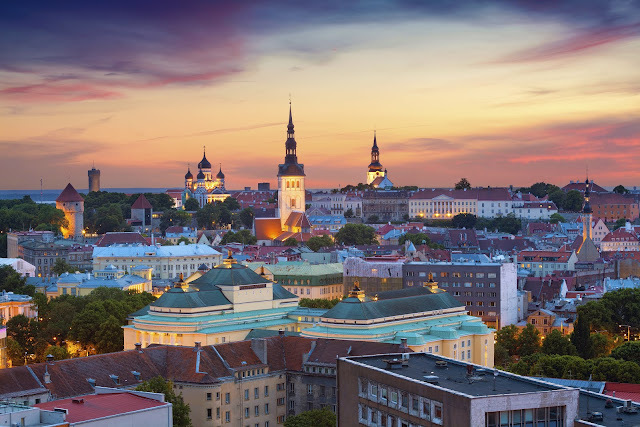 Estonian is, in fact, currently spoken by less than a million people in Estonia where it is the official language, and smaller communities scattered throughout the world. Estonian is also one of the official EU languages. Historically, there were actually two Estonian languages used in Estonia: the Northern and the Southern Estonian. The reason for this differentiation is quite interesting, as it results from the two main separate migration waves of the old ancestors of today's Estonians. The migration waves were not apart from each other just in terms of time, but also the separate groups used considerably different vernaculars. The modern version of Estonian is derived from the Northern Estonian dialects. Due to historical reasons (e.g. Northern Crusades, World War Two and the Soviet expansion), Estonian was quite neglected in the area, mainly in terms of literature. The first written form of Estonian is not older than the 13th century. Estonian is also heavily influenced by the languages of nations who took over the rule over the Estonian lands at various points in time, namely Sweden, Germany and Russia. In addition to the standard English alphabet, Estonian includes Š Ž Õ Ä Ö Ü. Loanwords can include F, Š, Z and Ž, while C, Q, W, X and Y are used in writing foreign proper names. These letters are not considered part of the Estonian alphabet, though. It is also worth mentioning that Estonian uses up to three degrees of phonetic length (not just short and long, but also "overlong"), thus one word can have three different meanings based on how much effort (length) is put into pronouncing it. Translation tips: How to localize dates?